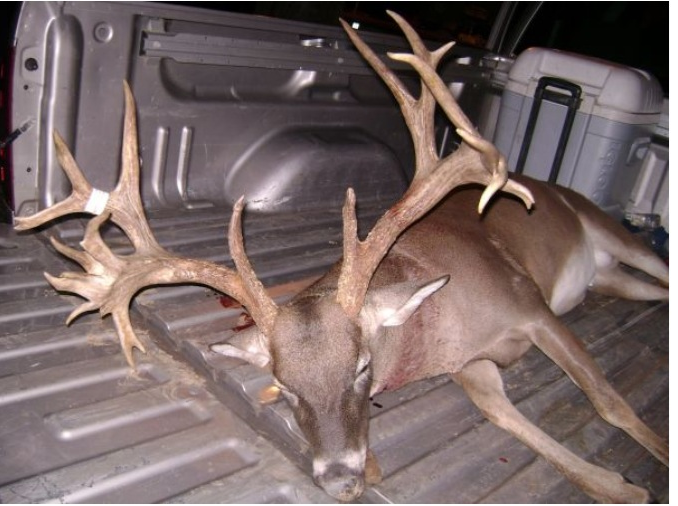 Starks' Alton "Tadpole" McLeod killed the potential state-record non-typical buck while bow hunting at Tensas National Wildlife Refuge on Saturday (Jan. 7) A monster 28-point that has been green scored at 222 inches Pope & Young, which could make it the largest non-typical deer ever killed by a bow hunter in the state. 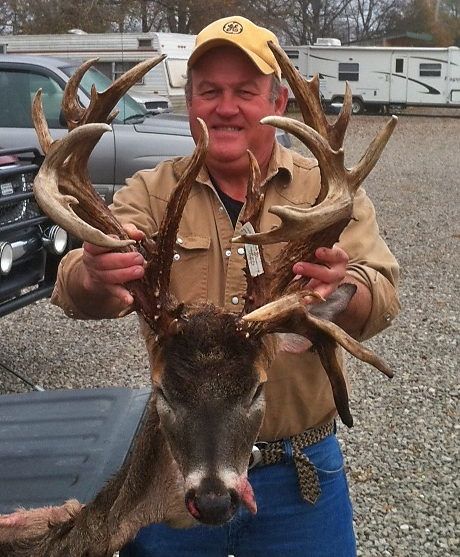 Mike Golden killed this 140-class Bossier Parish 8-point in early December. 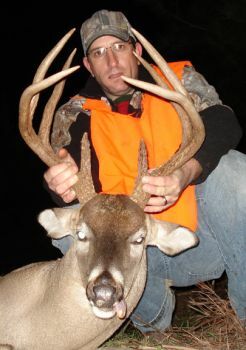 Elm Grove's Kevin Johnson nailed this 23-point buck Nov. 10 when he was prepping his son's stand. The deer has been green scored at 223 inches by Simmons Sporting Goods.evin Johnson was trying to do the right thing the afternoon of Nov. 10 when he walked into the woods on the little 30-acre tract of land he hunts in Elm Grove.